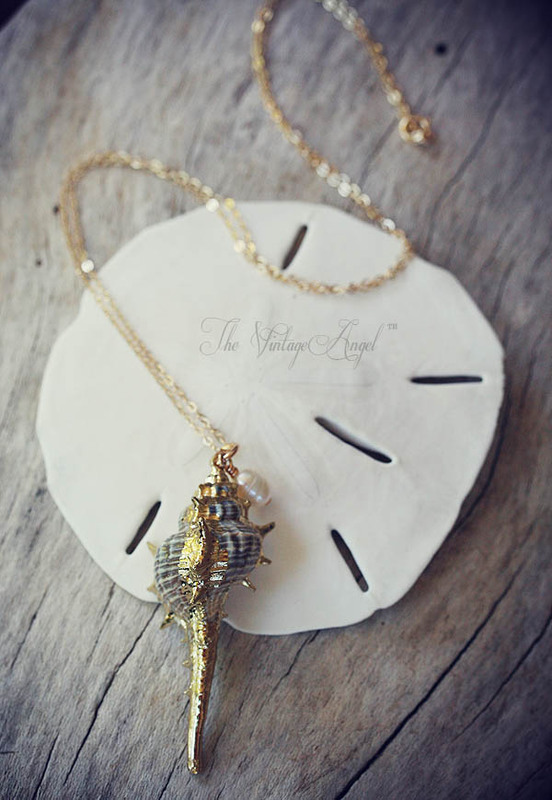 This mermaid-inspired necklace features a gorgeous spindle shell (over 2.5" tall) in natural shades of grey and ivory with gold plated accenting. 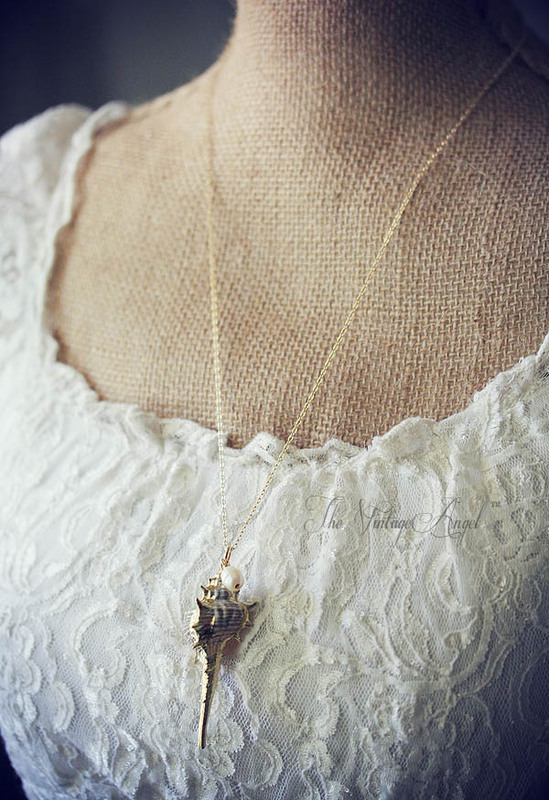 I've added a cultured pearl accent bead on 14 K gold wire and strung the whole pendant on gossamer gold plated chain. Chain is gold plated at 24" long. 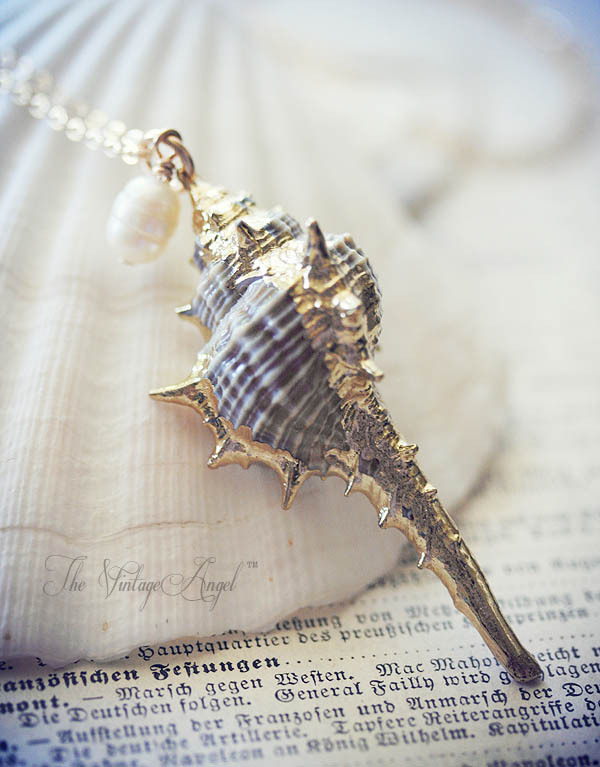 Made from a real shell that has been sealed and accented. Handmade with love to order in our studio, allow for our 1 week lead time.